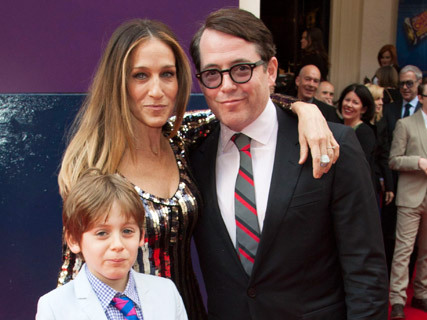 Sarah Jessica Parker and husband Matthew Broderick added a serious injection of star power to the West End launch of Charlie and the Chocolate Factory last night. 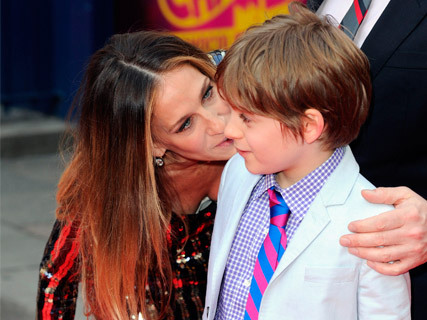 The pair hit the London red carpet with seven-year-old son James Wilkie. And what a gorgeous family they make. A sweep of barely-there make-up, poker-straight glossy locks and a dazzling diamond ring completed her scene-stealing look. The famous family posed for pictures on the red carpet, before catching up with friend – and the West End production’s director Sam Mendes. Also stepping out to support the Oscar-winning director was actress Uma Thurman, who wowed in black cigarette pants and a matching black cape. The Hollywood faces were joined by an assortment of British stars, including James Purefoy, Rupert Penry-Jones and Barbara Windsor.